Meet our newest addition to the dashboard, our teal star! 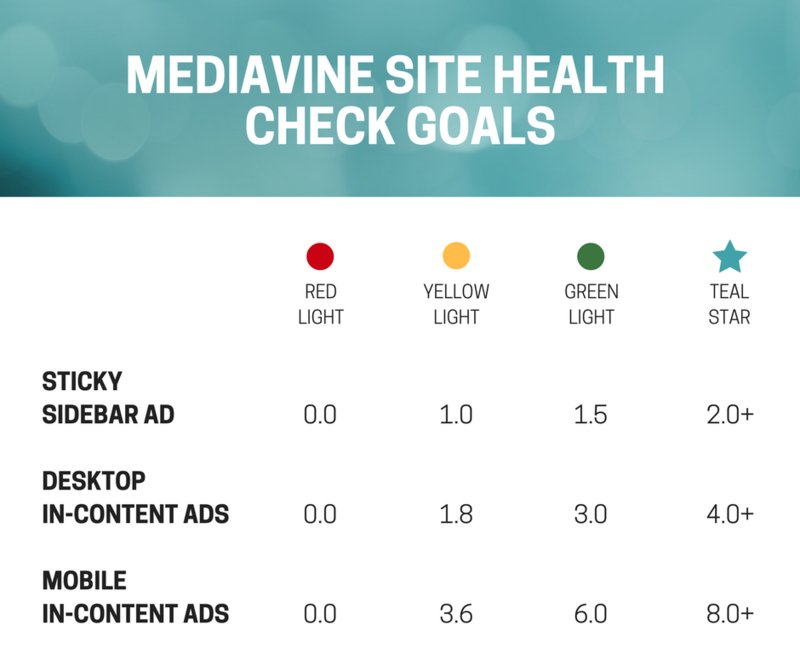 Mediavine's site health check widget in the dashboard just got an update! The Site Health Check widget helps you take your ads' temperature and make sure they are performing well for you. Prior to March 22, 2018, going for green was the best way to know your ads were doing well. A green light is definitely great, but a teal star is even more terrific. 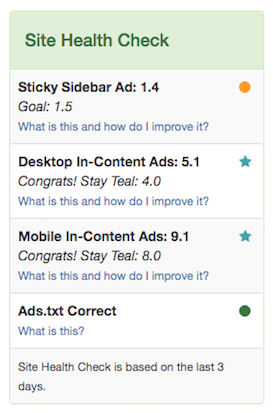 If you can reach a teal star in your site health checks, you'll know your ads are doing superbly well. Have green lights, but want to go for teal? We have this quick & easy, 20-minute ad optimization guide that will help you optimize your top 10-20 posts for ads. Optimizing your posts for ads can help your ads perform better and earn you even more money. We recommend that you start with your 10-20 most trafficked posts and keep our recommendations in mind for future posts. We're here to answer any questions you may have, so let us know how we can help! Contact us at publishers@mediavine.com or click the chat button in the bottom corner of your dashboard.